Most people believe roses are difficult to grow but nothing could be further from the truth! 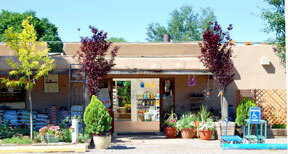 In fact we even include roses on our list of xeric plants. The bad rap that roses have received is probably due to the fact that there has been so much written about the care of roses, how to prune, how to fertilize, how to spray for insects and disease etc. but simply stated, when the flower fades cut it off. Fertilize with a high phosphate fertilizer, that’s the middle number, 2 to 3 times through the growing season, plant in full sun to minimize the potential of disease and if you notice insects, simply spray the plants with an aerosol insecticide. If you’re still worried that you might make a mistake then select from our list of shrub roses which are the easiest of all to grow. 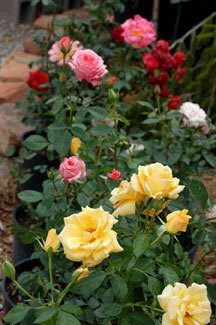 We think of these roses as flowering shrubs. See, there’s nothing to it!